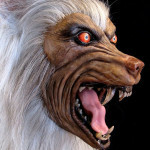 A custom werewolf bust with a devilish Hyena twist! The Hyena is more than a werewolf bust, it’s a life-sized trade-show prop of a character from the comic “The Were” brought to life in 3-D form. 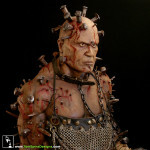 Sculptor Tom Spina created this animal style prop as a life-sized latex showpiece for a client’s trade show appearances. They came to us looking for werewolf busts for sale, and we worked with them to create a unique interpretation of their comic character as a life-sized bust! 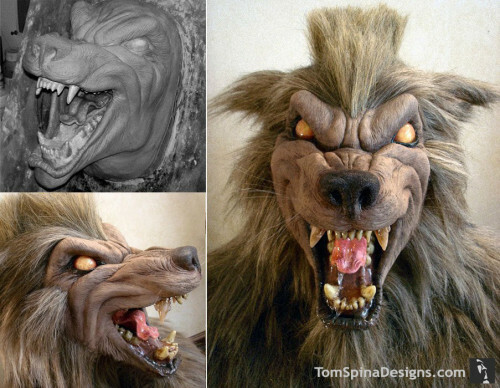 The finished lifesized Lycan style Hyena werewolf hybrid features a latex head, realistic resin teeth and rubber tongue, and movie FX style hair from our friends at National Fiber Technology. We love adding details and little artistic touches like gloss on his resin fangs and realistic drool bring this monster sculpture to life! 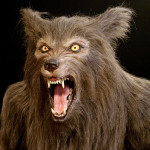 The resulting werewolf bust approaches movie prop quality and is sure to get a howl out of anyone! 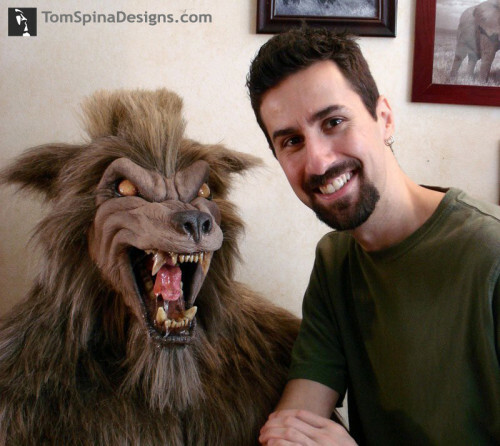 We love werewolves and comic books here, so the chance to custom build a life-sized character that spanned both was a dream come true! 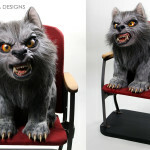 Want a show stopping prop for your next trade show? 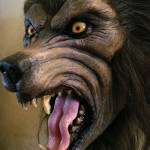 Check out a video of our life sized werewolf busts and statues!